Introduce effective tools for communication into your medical facilities without compromising on quality. Online meetings and conference calls increasingly help healthcare professionals and research teams connect with patients and each other, faster and more efficiently. 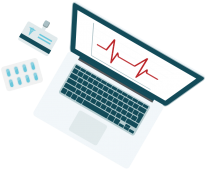 Keeping sensitive admin or patient information confidential is a challenge, but it doesn’t have to be difficult. After 15+ years working closely with US & European healthcare providers, MeetingOne has developed secure, customizable healthcare solutions with the safest web & audio conferencing products & services. MeetingOne’s Healthcare Solutions go beyond the tech with award-winning customer support. Personalized & detail oriented, you can be sure MeetingOne’s tailored solutions will meet confidentiality needs while promoting efficient conversations. Meet or train online without concern – Adobe Connect is HIPAA compliant! Adobe Connect has many security tiers that eliminate the threat of hackers. Sharing records and information online is safe with Adobe Connect. 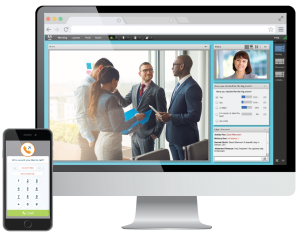 All of your online meeting recordings are protected by industry leading, layered encryption. Disclose urgent matters without worries of snooping on conference calls. Assign unique access codes to your conferences to keep out unwanted listeners. Easily identify & disconnect suspicious callers with our conference call virtual interface, Click&Meet. MeetingOne stores and transmits your call recordings with AES-256 encryption. We work with healthcare organizations to accommodate specific needs. By department or entire entity, we can scale your solution without compromising security. Consolidate your systems – we can help you host online trainings AND online meetings. We can provide highly secure on-premise hosting for information sensitive organizations. 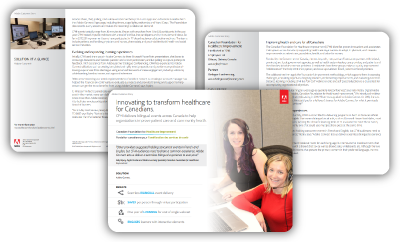 Discover how Adobe Connect is providing the Canadian Foundation for Healthcare Improvement engaging bilingual virtual events! Tell us your goals. 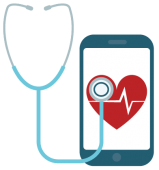 We can create a healthcare conferencing solution perfect for your communication needs.